Claim - Force an opponent to choose to either lose 1 resource or have you gain 1 resource. 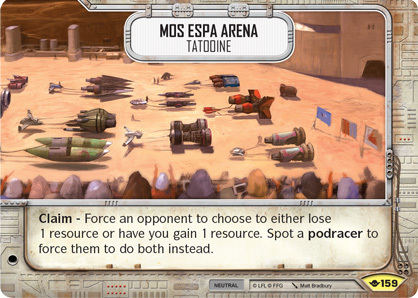 Spot a podracer to force them to do both instead. Way of the Force #159.